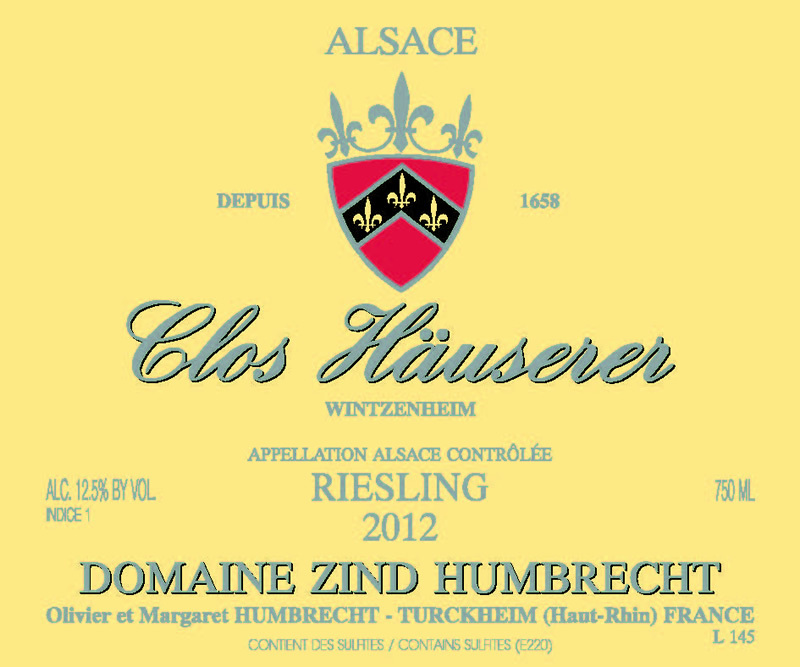 The climate in 2012 couldn’t have been more favourable to the Clos Häuserer. A dry September prevented early botrytis development and ensured a slow increase in sugar ripeness allowing for later harvest without gaining too much sugar richness. Because of its location at the foot of the Hengst hillside, on a deep rich marl soil, vigour and excessive growth were problems encountered in this parcel when the vines were younger, yet with age these vines have attained a remarkable balance. Attaining proper physiological ripeness is crucial in this vineyard as the acids can remain green if harvested too early. A perfect slow fermentation allowed the wine to finish dry. 2/2014: intense yellow green colour. The nose conveys a sensation of vibrant and precise minerals, clear cut stones, a real class apart. Fabulously austere, it is easy to see through the iodine and tight nose how classic this wine will be. The mouth is delicate, like a racing car, there is no excess weight, but everything on the palate shows vibrancy and energy. The acidity, not technically very high, is well present and cuts through the finish. Elegant structure, the natural concentration of this wine creates richness in this lower alcohol wine.